Couscous is a staple of the Moroccan table. 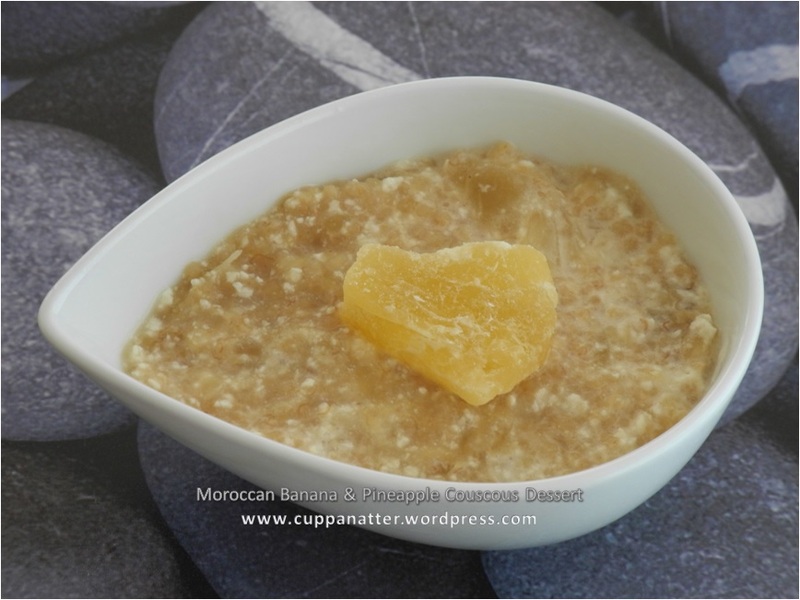 This dessert version is similar to rice pudding. 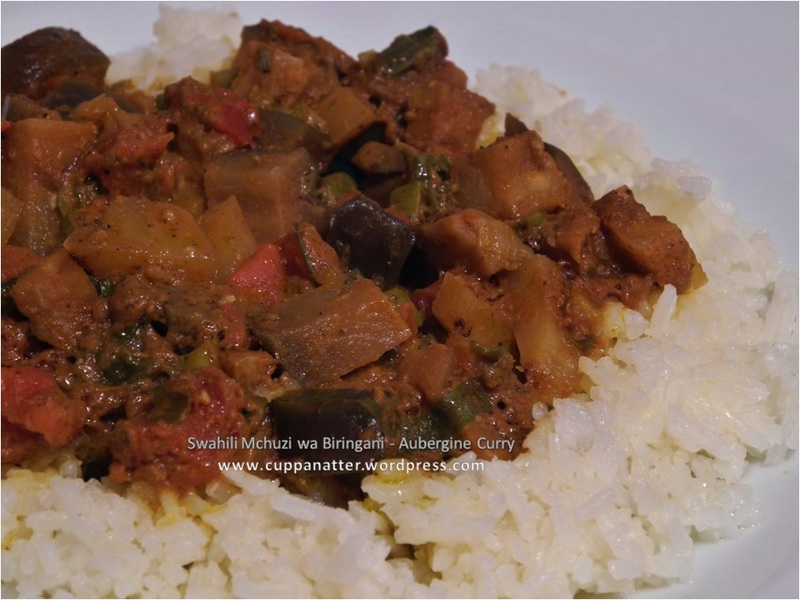 It’s delicious, light, and a nice complement to spicier main dishes, such as the Swahili Mchuzi Wa Biringani (Aubergine Curry). Bring 3/4 cup water to boil in heavy medium saucepan over high heat. Stir in couscous. Remove from heat. Cover and let stand until water is absorbed, about 15 minutes. Fluff with fork. Melt butter in small pan over medium-high heat. Add banana and sugar and sauté until banana is soft, about 1 minute. Cool. Using electric mixer, beat cream in large bowl until soft peaks form. Fold in the liqueur (reserve 6 tablespoons whipped cream mixture for topping). Fold candied pineapple, couscous, and banana into remaining whipped cream mixture in large bowl. Tip: If you make this the night before, you may want to whip in a bit more cream to fluff it up, as the couscous and candied apple will have soaked up the liquid contents. To serve: Top each pudding with some of reserved whipped cream mixture. Sprinkle each with fresh pineapple and serve. Biringani is the Swahili word for “aubergine”, also known as Eggplant (North America), Guinea Squash, Garden Egg, or Brinjal (India). Originally native to Asia, it’s been a long-time staple part of the diet in Asia, the Middle East, the Mediterranean and Africa. This dish is a common dish along the eastern coast of Africa. Heat oil in a large pot. Sauté onions for a few minutes, then add curry powder, garlic, ginger, and chili pepper. Continue frying over high heat for a few more minutes, stirring continuously. Add aubergine and potatoes. Stir and fry until the aubergine begins to brown. Reduce heat. Simmer for ten minutes. Stir in tomatoes and tomato paste. Adjust seasoning. Simmer until sauce is thickened and everything is tender. Stir in milk, coconut milk, or yoghurt just before serving.